A Warm Welcome To ASD Ashford. We are a friendly parent led group which aims to support families in the Ashford area, with children and young adults on the Autistic Spectrum as well as those with ADHD. This includes those who have yet to gain an official diagnosis. Being told your child has or may have an Autistic Spectrum Disorder (ASD) is a lot to take in and we hope to help you along the path to better understand what you can expect throughout the whole process. Sam Williams set up the group in early 2011 as her son had been recently diagnosed, she didn't know anyone else with a child who had Autism, and she was desperate to link up with other parents to know she wasn't alone. She also set up a Facebook group, which is still running and expanding everyday and allows members to chat and share the highs and lows of ASD and ADHD. 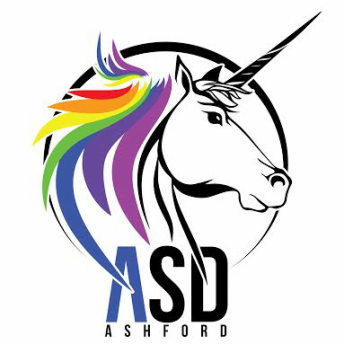 ASD ASHFORD is completely independent and unfunded, the group runs on the fundraising efforts of its supporter's and donations form the local community. For more information on how it all got started see here. Over time this little family has grown and we now have an office in County Square Shopping Centre. We offer monthly meet ups for parents, as well as 1:1 appointments where needed to discuss things more privately.
. We offer a range of Autism related training delivered by Austin Hughes from The West Ham Charitable Foundation, We can also facilitate workshops in house for professional organisations, including schools and nurseries, twilight sessions are available. More info on this can be found in our training section. work in and around many disabilities. Not happy with some of what he saw, Austin developed his own workshops. learned how to build strong bonds and understanding by putting himself in the shoes of the person he’s working with – seeing life from their point of view. own disabilities which brought about a change in his career. Working within autism became his main focus as he trained and enjoyed working for the NAS. Austin has been delivering training with ASD Ashford over the last 4 years nd has helped many of our members. He has always been hugely supportive of what we do as group, and it's fair to say he has been taken to the hearts of our families. It was with great pleasure that in February 2014, he came on board as our Patron.